The BKS Group Bursary Scheme attracts: dynamic youthful minds and civil engineering stars, who presented excellent academic potential, entrepreneurial and leadership skills. The BKS Group Bursary Scheme attracts: dynamic youthful minds and civil engineering stars, who presented excellent academic potential, entrepreneurial and leadership skills. Bursaries are awarded for full time studies to complete a specified qualification within an Academic University/University of Technology. Their bursars are provided vacation work during academic recess periods and permanent work upon completion of studies. 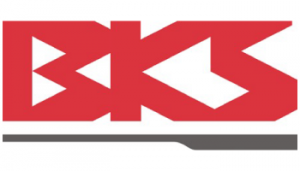 The BKS Group is a dynamic multi-disciplinary consulting engineering and management firm. They provide solutions that touch many aspects of everyday life; through sustainable development projects; across the full spectrum of civil engineering disciplines in South Africa and in a number of other African countries. The spirit of BKS burns brightly through our work and our strict focus on professionalism and passionate attitude towards projects always sees us come out successful.